← Walsall Wood v Coventry Sphinx home match this afternoon is off! Holland Park and the glorious commons of Brownhills are the legacy of Hyla John Holland. 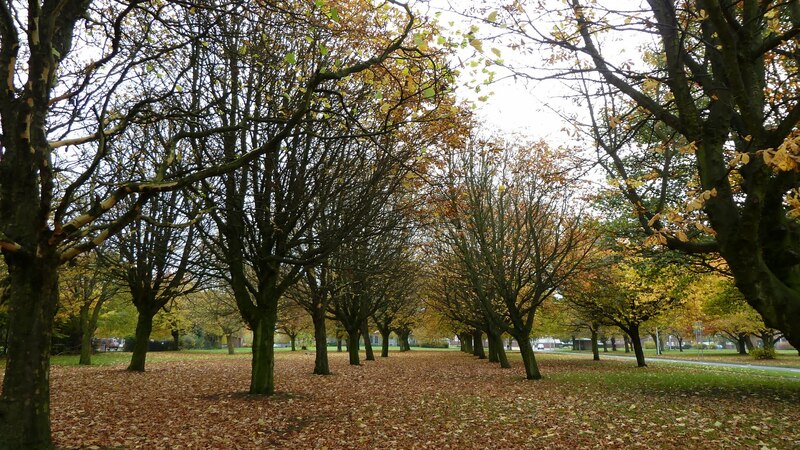 Over the past couple of posts, the subject of Holland Park in Brownhills has come up, and reader Peter asked where it got it’s name. I knew it was named after Hyla John Holland, one of the great names in the history of Brownhills, but I realised I didn’t know much about the chap, or exactly what he did beyond being a councillor. It seems Hyla came from a time when parks, open air and exercise were more highly valued than the Mayoral portage. Well, with thanks to Peter ‘Pedro’ Cutler, we’ve made tentative steps into delving into Hyla’s history, and where better to start than the gentleman’s obituary in the Lichfield Mercury? It is with regret that we record the death of Mr. Hyla J. Holland, of Brownhills, which took place on Wednesday. The deceased, who was 70 years of age, was a son of the late Mr. John Holland, a most respected inhabitant, who was for forty years secretary of Messrs. Harrison’s Collieries, a Justice of the Peace and a prominent member of the Brownhills Urban District Council. His mother is still alive at the age of 92 and resides at the Coppice, Brownhills. The deceased was also a member of the Council for upwards of fifteen years, being chairman in 1924, chairman of the Parks Committee, in which he took a keen interest, and chairman of the Tech¬nical Instruction Committee. Primarily through Mr. Holland’s efforts the local Council assumed control of the Brownhills Common, which today is proving a valuable amenity to the district. He was headmaster of the Ogley Hay Schools for many years, and his associations with Ogley Hay Church and Sunday Schools included organist at the church for forty years. At the last Council election Mr. Holland did not seek re-election owing to ill-health, a fact which was generally re¬gretted throughout the district. 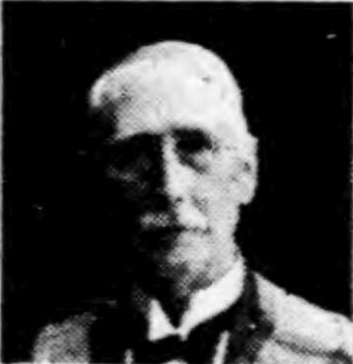 He was also connected with many other bodies, including the now defunct Board of Guardians; chairman, treasurer, and a trustee of the Brownhills Memorial Hall; and a member of the County Tuber¬culosis Committee, attending the meet¬ings at Stafford. It was due to him that he scheme originated for the making of the new road from the Chester Road to Watling Street, called The Parade, and in this respect the Council honoured him in asking him to perform the opening ceremony. He was a Freemason, and throughout his sojourn in Brownhills was interested in all social life, being par¬ticularly concerned with the health of the district. The funeral will take place at the Parish Church on Saturday afternoon at 2.30 p.m.
Picture of Hyla John Holland from the news report in the Lichfield Mercury. Click for a larger version. Funeral of Mr. H. J. Holland.—The funeral of Mr. Hyla John Holland took place on Saturday at the Parish Church. The family mourners were Mr. George R. Goodall ( son-in-law ) Captain H. H. Holland, C. B.. R. N., Laurence Holland, C. C. J.P., Arthur and Cecil Holland (brothers); J. S. Wilkes (of Deganwy), J. F. W. Binns, C.C., J.P. (of Pelsall), and Madrell (of Liverpool) (brothers-in-law); Mrs. L. V. Rogers and Mr. Scott Rogers (cousins); Mr. A. J. Holland (of Hednesford) (cousin), Mr. A. E. Wilkes and Mr. H. Westley (of Pelsall) (nephews). There were forty wreaths from family and friends, and from the Brethren of Hatherton Lodge, No. 2474; Brethren of Hatherton Chapter. No. 24 74; Brownhills Urban District Council; Staff of Senior Boys’ Central School; Staff of Ogley Hay Junior and Infants Schools; Committee and Members of the Brownhills War Memorial Institute; Committee and Members of the Brownhills British and Foreign Bible Society; Members of the Brownhills (Ogley Hay) Female Society; and representatives of these bodies attended the funeral. It took real vision to create Holland Park and the Parade. I think old Hyla would be quite pleased with it today, but suspect he may have harsh words for our current civic elders. Image from ‘Memories of Old Brownhills’ by Clarice Mayo and Geoff Harrington. This entry was posted in Brownhills stuff, Environment, Followups, Fun stuff to see and do, Interesting photos, Local History, Local media, Local politics, News, Panoramio photo discussions, planning, Reader enquiries, Shared media, Spotted whilst browsing the web, Walsall community, Walsall Council, Wildlife and tagged 1933, Brownhills, Brownhills local history, Holland, Hylan John, Lichfield, Local History, Local politics, Mercury, New Photos, Obituary, Park, Parks, planning, recreation, Staffordshire, The Parade, Walsall, Walsall Council, Walsall politics. Bookmark the permalink. Bob, Pedro. Thank you. I’m assuming it was called Holland park in his memory? The park that we know today as Holland Park was just part of Brownhills common presumably and the road that he opened then helped to define the boundaries a little more. I can just picture Pedro now typing away at this keyboard searching for information on the The Brownhills (Ogley Hay) Female Society and alike? It states in his obituary that with his help in particular the Council assumed control of the Brownhills common, from whom or what? Or was it in a guardianship sense? It certainly was named after Hyla. I don’t really think there was a common at all per se until Hyla’s actions defined it. Remember that most of what we now think of as the common back at the turn of the last century was still crisscrossed by mineral lines, pocked by mines (working and derelict), drainage channels and spoil heaps would have blighted the landscape (many of them still exist, but now they’ve greened up and softened, we call them ‘scenery’). Holland came from a more optimistic (and arguably wealthier) breed of politics where large gestures like the park, common and parade could be made relatively easily, and it would have been seen, along with fresh water, sewerage and decent housing, to be part of the gentrification, if you like, of the town. I say, Charles G Harper could have been describing the northern wastes! Just passing a keyboard and could not help myself! I would guess that the female society refers to the Female Benefit Society, whose 170 members, in 1911, gathered at the Anglesey arms, and had an excellent ham and tonge tea. Could cover a multitude of sins, maybe the Davids can enlighten! I understand that the Hussey Estate retained mineral rights over this land until very recently when the rights were rescinded. I wonder if readers can confirm this, please. Thanks to Pedro I have googled BFBS..interested to see the name William Wilberforce mentioned..locally..what do we know about Mr Colley, a man to be admired, perhaps. Depends by what you mean. The Hussey Estate ceased to exist over a century ago. There are theoretically still existing mineral rights to parts of the common, but never likely to be enacted. Recently the Local Committee decided to get wound up about that one. Mineral Rights are complex things that conjure up images of diggers moving in overnight – this isn’t the reality. To actually abstract, huge process has to be undergone, even with the right in place. Just happened on another keyboard. Several mentions of a William Colley is association with B’hills around that time. Could have been the local correspondent for the Lichfield Mercury, Sub Chief Ranger in the Foresters, Parish Sidesman and one time Presided at the B’hills WMC. No, don’t think it was. Ogley Hay was, of course, as detailed by Gerals Reece in the recent articles. 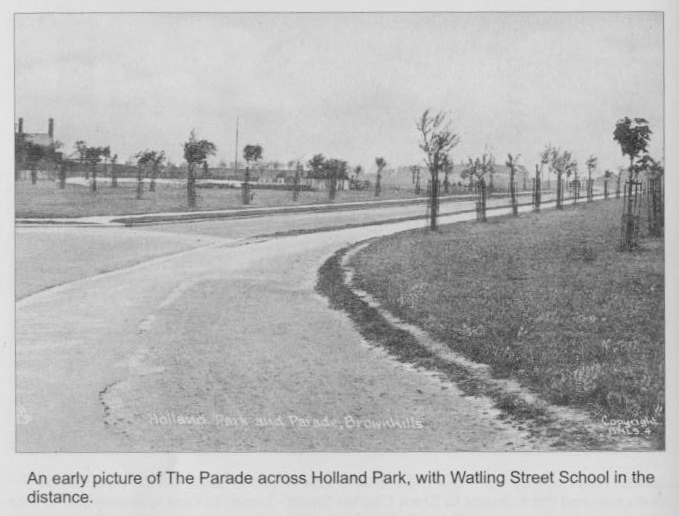 Looking again at the photograph of the parade in the early days, it looks as though the picture was taken roughly where the bus lay by thing is these days next to the town hall as was, and the original caption to the photograph says you can see Watling Street school in the distance……. We’ll I can’t see the school, I can’t even see the end of the parade where it crosses the A5. Is it another building or was there some poetic license used??? Could it be the back of the Hussey Arms? was it built then? Mystified by this, to me, it’s clear. Chimney and rear gable of Hussey arms clearly visible centre left. Follow the curve of the parade, tall sapling in the foreground on our side of the road. Behind this and the next four saplings in the road, Watling Street School’s outline can be clearly seen. behind the saplings left, is the Hussey bowling green, now a car park. The area to the right of the Hussey Arms looks a bit large for bowling green. An uncle of mine mentioned a football match played “behind the Hussey Arms”; I wonder of that was it. Early in the 1900s the Hussey Arms had there own football team, and there own football pitch behind the pub. Have seen the adverts in the Walsall Observer, and Brownhills Reporter whilst doing my research.